After last years Move Festival there was much debate as to whether the promoters would run for a second year. It wasn't so much the line-up - you couldn't get much better than Bowie, Green Day, Paul Weller and New Order on one bill - it was the fact that in terms of ticket sales it wasn't the huge success everyone expected it to be with half the cricket pitch empty. Still Move Festival 2003 has much to offer and while the line-up is distinctly for the mature audience with the Manic's, Charlatans and REM reaching out to males with receding hairlines and widening girths (and in the Manic's case more and more make-up) it's a fair representation of new and old music alike. Technicalities mean that most of the press miss the opening band Kinesis (Ed: Post any Kinesis reviews on the message board), but you can guarantee the local Bolton based political band went down a storm with Manic's fans. Very much seen as the successors to today's headliners, especially in light of James Dean Bradfield announcing over the Glastonbury weekend that following the Greatest Hits Tour he sees the band more as entertainers than a band with an agenda, Conor and Tom are the Richey and Nicky of the band and despite a few naive comments songs such as "...And They Obey" and "Billboard Beauty" capture a spirit and intelligence not seen in music for so long. Ex-At The Drive In members Cedric Zavala and Omar Rodriguez-Lopez formed The Mars Volta to celebrate the life of Julio Venegas, a close associate of the band who committed suicide in 1996. After writing a song "Embroglio" in ATDI, Cedric decided that one song simply wasn't enough and the bands debut album "De-Loused In The Comatorium" is dedicated to his life. Quite wear they fit into Move's line-up is somewhat of a mystery with the band suited dingy sweaty basements and in terms of festivals it's more Isle Of White in the Seventies than a corporate tie-in with Virgin Trains. Anarchic rock & roll with arms flailing in the face of desperation following the unexpected death of band member Jeremy Ward on May 25th. The Mars Volta are genius, but with the exception of a few hard-core fans much of their set was lost on the audience. The sun comes out for Teenage Fanclub if only for a few minutes. Perhaps the perfect festival band with their blend of Byrds influenced guitar pop. "I Need Direction", all Beach Boys barber shop harmonies and although it sounds tame compared to the likes of the Polyphonic Spree and The Hidden Cameras there is always something restrained about the Fannies which is irresistible. Genuinely nice without ever being boring and a cannon of Greatest Hits ready to unleash that even the glamour kids down the front can resist. The likes of "Start Again" and "Ain't That Enough" are relatively new songs in the the bands 14 year history and while it's a minor disappointment "Mellow Doubt" is included today we realize how much we actually miss the band. The Super Furry Animals have a unique way of turning the terminally uncool into something relevant and necessary. "Rings Around The World" borrows from Status Quo and the bands new single "Golden Retriever" is surely based on Spirit In The Sky. Their Welsh sense of humour sees Gruff announcing "we came here by Virgin Trains and it took 15 hours". With none of the thrills of the bands quadraphonic sound system and the restrictions placed on the band by a simple 2 screen set-up the band can't fully explore the concept of a full multimedia experience and much is lost in the translation. Old favourites like "Herman Love Pauline" with it's techno breakbeats and the pounding "Receptacle For The Respectable" are intertwined with songs from the bands new album "Phantom Power". More organic and less chaotic than previous offerings, songs such as "Hello Sunshine" don't particularly shine next to the highlights of "Juxtaposed With U" and an extended "The Man Don't Give A F**K", the Furry's neither disappointed or amazed. The first real highlight of the day comes the moment that The Flaming Lips arrive on stage. Seemingly going from indie underachievers to everyone's favourite band, in the last 12 months we've seen them have Justin Timberlake beg to play with them on TOTP's and just 2 weeks ago at Glastonbury they outshone Radiohead on the Pyramid Stage. With no less than 15 animals on stage (the backstage rumour being that the Super Furry Animals are in fact back on stage as real life Super Furry Animals) and 2 plastic suns Wayne Coyne deals in low-rent glamour with the sort of white suit worn back in the day on Miami Vice. "Race For The Prize" is one of those modern day classics which at the same time as avoiding the trappings of any indie disco's seems to have worked it's way into the heart and souls of every single audience member here. Glitter and confetti is thrown into the audience by Coyne himself as a statement of defiance and every single gesture from the hand puppet nun singing the refrain on "Yoshimi Vs The Pink Robots Pt 1" is that of bargain basement rather than expensive gestures. Dedicating a sing along of Happy Birthday to 2 members of the audience he proceeds to place placenta on his face to celebrate "what will arguably be the most violent day of your lives". With a cover of Pink Floyd and "She Don't Use Jelly" it's over all too quickly. We want and need more and the only thoughts are how do the Manics's follow this. Last time we saw the Manic's was at Leeds Festival in 2001, we avoided the Greatest Hits Tour because it wasn't why we were into the Manic's and we certainly didn't want to see the Wire up onstage running through the motions like a corporate whore. Everything was perfect from a video link where an actor playing Karl Marx introducing the band as "my favourite rock & roll band" to Nicky Wire in a nurses uniform. With a B-Sides and Rarities album "Lipstick Traces" for the fans you'd have expected the band to make a bit more of an effort at Move than reverting to a toned down version of the combat look from the Holy Bible era. Where was the make up, the dresses and knee-high socks? Did it all get put away with the family album the moment Wire has his first child. Not that were trying to take anything away from the band, as musically the Manic's still have a depth and intelligence that few bands at their scale can still hold onto. Whether bands such as Kinesis or Miss Black America will ever have number 1 single about the Spanish Civil War remains to be seen, but is doubtful. 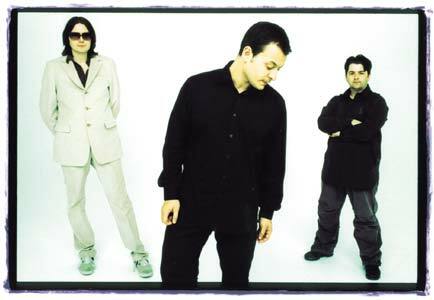 Despite the fact that James Dean Bradfield announcing it was going to be a "like a wedding reception" the band manage to balance the hits with B-sides and tracks from "Generation Terrorists" and "The Holy Bible". Kicking off with "You Love Us" has become par for the course (apart from when they open with "Masses Against The Classes) but it's such a gesture considering at the time of it's release they were equally hated and loved rather than part of the rock & roll establishment. It's the Richey moments which are most touching with "Small Black Flowers That Grow In The Sky" leaving several audience members in tears and the poignancy of hearing "Judge Yr'self" live for the first time. For every "You Stole The Sun From My Heart" there was "Die In The Summertime". For every "Tsunami", "This Is Yesterday". In a set which mixed up set pieces such as Motorcycle Emptiness" and the acoustic version of "Little Baby Nothing" it was the surprises such as "Prologue To History" and the covers of "Take The Skinheads Bowling" and "It's So Easy" which actually disappointed. It's all down to personal preference but i'd have rather heard "Strip It Down" or "Mr Carbohydrate" and James' cover of "Raindrops Keep Falling On My Head". Ending with "Everything Must Go" and "Design For Life" couldn't have been more perfect. The first day of Move as a whole was uneventful, but with the Manic's and The Flaming Lips it ended up a triumph.